Mussorgski’s Pictures from an Exhibition, Bartok’s Romanian Dances and Tchaikowski’s Waltz of the Flowers are the backbone of this CD published by DUX. 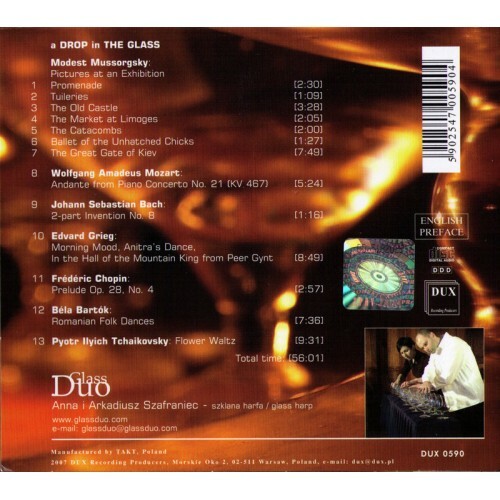 The rich sounds of the glass harp in outstanding performances from GlassDuo. Mussorgski’s Pictures from an Exhibition, Bartok’s Romanian Dances and Tchaikowski’s Waltz of the Flowers are the backbone of this CD published by DUX. 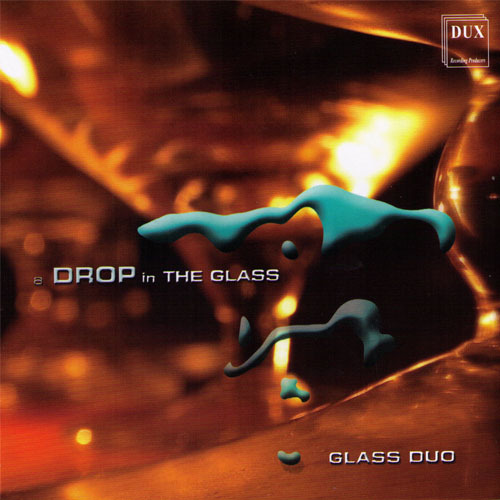 The rich sounds of the glass harp in outstanding performances from GlassDuo.gl..